If you are stressing out about Christmas shopping, take a deep breath and consider creating your own homemade gifts in the kitchen. I’m pleased to bring back an annual favorite: Gift-Worthy Recipes. Mustard – believe it or not – makes a great holiday gift. Cookies, candy, and other sweets are great, but all that sugar can be overwhelming this time of the year. Giving a condiment like mustard is a great substitute for all of that sweetness. Plus, it lasts a long time, so there’s no pressure to consume it within a short amount of time like some other food gifts. Giving something homemade as a gift is a win-win. Your recipient will love the time and thought you put into your personalized gift. Plus, you will end up saving money. And my personal favorite part? I get to spend even more time in the kitchen before Christmas! Stay tuned for more food gifts in the next couple of weeks. Be sure to like my Facebook page for Cheap Recipe Blog updates. Thanks for stopping by! Place mustard seeds in a mixing bowl. Add enough water to cover the seeds by three inches. Cover and let sit at room temperature for 12 hours. Drain water. Placed mustard seeds, vinegar, water, garlic, salt, honey, and tumeric to a blender. Blend until smooth. Place mustard in an airtight jar and store in the fridge. Mustard will keep refrigerated for up to two months. This sounds awesome and so simple to make! 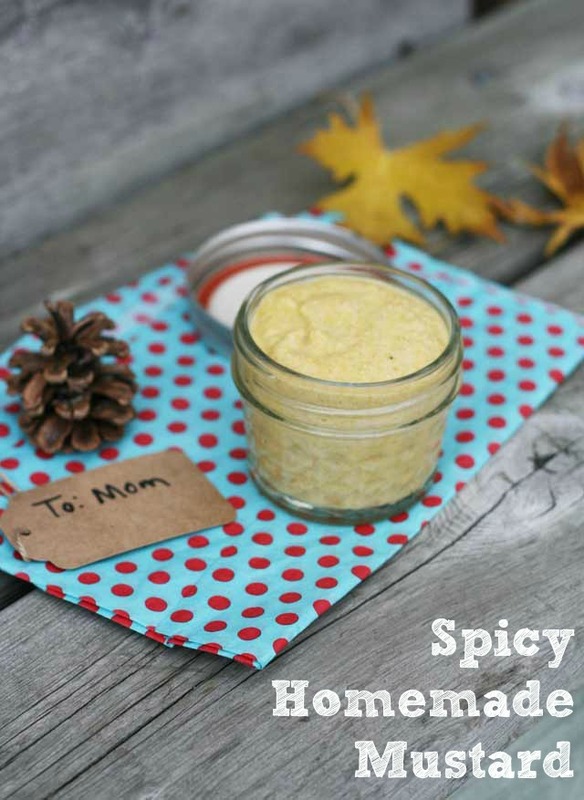 I love the idea of making your own mustard for myself and as a gift. I’ll have to keep this in mind, not only for Christmas, but for birthday presents throughout the year. Making a gift basket would be perfect. Absolutely – this would be good as a gift any time of the year! Oh my gosh what a great idea for gifts. Everyone loves mustard and how fun it would be to change it up depending on who you want to give it to. This is one thing even a food blogger would love to get. I’m just going to have to make a batch. Thanks for the inspiration Haley!